$380 Login For Price!PRICED TOO LOW TO ADVERTISE!!! 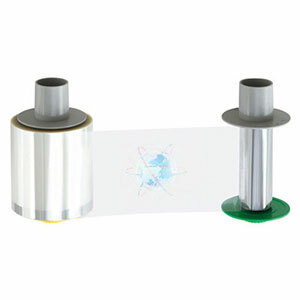 Fargo 84054 HDP Holographic Film. High Secure Orbit Design. Universal Orientation. 500 images. Note: For use on HDP5000 Series Printers only. Compatible for use with composite cards only. In the case of lamination, not for use with thermal transfer films.